A preview of the cards I made for the Just Inklined clear stamp shows at Create and Craft TV. Another show today at 11 am, I'd love it if you could join me. They're both beautiful,Jak. Wish I could watch your show - but I'm across the pond. Oh yes be sure, I´ll be there, if just I can get on, but I don´t expect they have to do manintenance again today LOL. And thanks god, we got another hour yesterday, and didn´t miss out on all that laughing and fun ha ha ha. I love those Wrinklies and hope my CD will arrive today, since it didn´t yeatwerday, and I got the mail it was shipped already Tuesday morning. So I´m crossing my fingers here, can´t wait to get such a good laugh again he he he. Have a wonderful day Jak. Jak both of your cards are awesome! I love the cut out on the lily card! 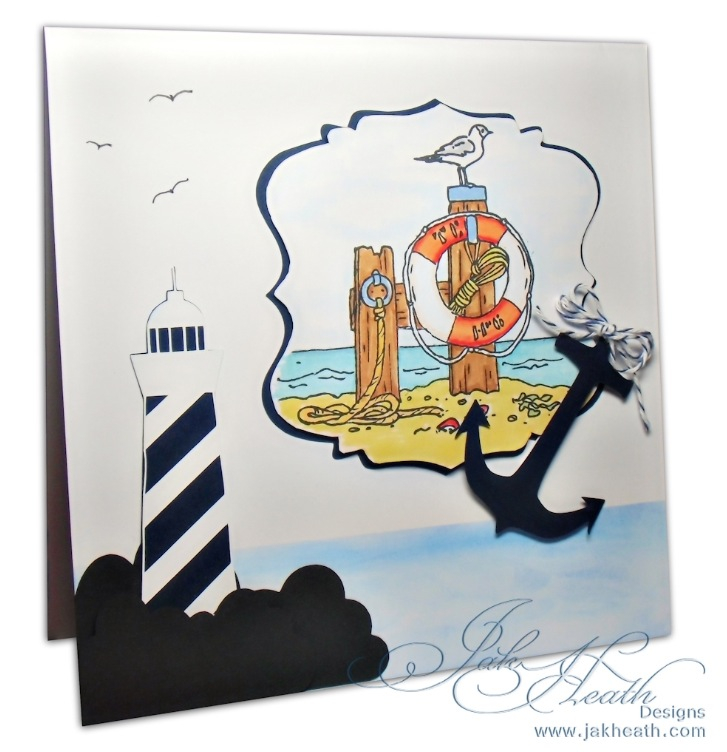 & the lighthouse & anchor are the erfect finishing touches for the second one! Hoping to catch some of the 4pm show after work! Great shows and love the stamps. 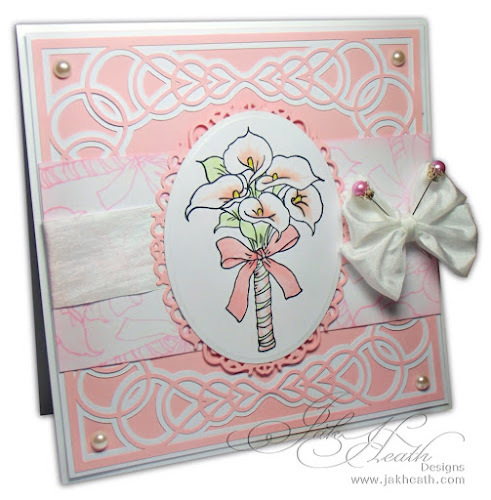 Gorgeous cards, the lilies are so pretty for any time of the year or occasion. Very pretty cut out card overlay. WHAT GREAT SHOWS Jackie,I'm still smiling about them today. Do you realize Stephanie was having a job to keep her laugh in - on her NEXT show. A brilliant C.D.and beautiful stamps.Thanks for putting lots of smiles on my face just at the thought of them! What am I going to be like when it comes to make the cards ? Mary. Love the hand tied lilies card, exactly what i had for my wedding bouquet. Same amount of flowers too, as an older bride i didn't want the full works. Great cards and great shows Jak. both of your cards are great! love the lillies card the most...what did you use to make the border around the card? Is it a die? If so who makes it? I love dies!